Should you buy online, or should you go to high-end boutiques and shopping plazas? There is obvious benefit and drawbacks to each. And, depending on what you are looking for, your time, and your budget, different consumers are going to take a different approach. So, let’s view each, and the pros/cons of online versus high-end street shopping. There are obvious benefits. The high-quality goods, designer brand names, and selection are a few of those benefits. Additionally, you can physically see items, you can hold them, and if it is clothing/shoes, you can try them on. You also know goods are brand new and genuine. But, there are also drawbacks to high-end shopping. You typically are going to pay more. In fact, you are likely going to pay the full-retail price when you shop at these higher end stores. And, you are going to have to deal with crowds, and other shoppers. Some are limited in terms of payment options and sizing you are going to find as well when shopping in store. And, if something is out of stock, it might not come back in for a while. So, what you see is what you get. Let’s start with the good. Often unlimited inventory is a benefit. Even if not in stock, they can get it in no time. You will pay lower prices; you won’t pay retail, and you can always shop around to compare. You also have quite a few store options, you will find nearly any size, and you can choose from various colours and designs. Unlimited brands are also available online, as you can choose to shop with dozens of online retailers. The fact that you can shop from the comfort of your home, and compare dozens of stores and hundreds of products at once, is a major benefit over storefront shopping which you can’t do. A major drawback of online shopping is the fact that you often don’t know who you are buying from. So, even if a seller claims items are genuine/real, you never know until it arrives (but you are often covered if items aren’t as described). You can avoid these sort of setbacks by using a reputable seller and also using a well know catalogue site. Another major drawback is you can’t hold/feel, or try on items. So, if sizes are wrong, or colours aren’t what you expected, you have to send items back, wait for a refund, wait for more shipping, and obviously you will incur more costs this way. In the end, every consumer is going to take a different approach and will choose a different method to shop. But, no matter what you are shopping for, or what your budget, you ultimately have to shop and compare if you want to find the best deal, and the item you are looking for. 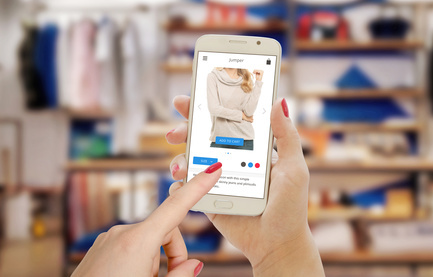 So, whether you choose to surf the web, or visit dozens of local high-end stores and boutiques, these are a few of the main benefits and drawbacks for both shopping online, as well as shopping at local stores where you live, when you are buying consumer goods.